This workshop aims at being a platform for exchange in all areas related to robust optimization, including static and adjustable robust optimization, ranging from combinatorial optimization and integer programming to convex optimization and distributionally robst approaches. Registration for the workshop is free of charge. However, spaces are limited and registrations will be confirmed on first-come, first-served principle. To register, please send an email to michael.poss@lirmm.fr indicating your name, affiliation, and wether you intend to give a presentation. Nearby airports are Frankfurt Airport (FRA) and Cologne Bonn Airport (CGN). If you come from Frankfurt Airport, the trip by train takes about 1.5 hours. For this you drive from the station "Frankfurt Flughafen" to the station "Frankfurt HBF" and change here to "Siegen HBF" in the regional train "RE99". If you come from Cologne Bonn Airport, the trip by train also takes about 1.5 hours. Therefor you drive from the station "Köln/Bonn Flughafen" to the station "Siegburg/Bonn" taking the "S19. In "Siegburg/Bonn" you change into "RE9" to "Siegen HBF". Please check the website of the Deutsche Bahn for the exact depature times. 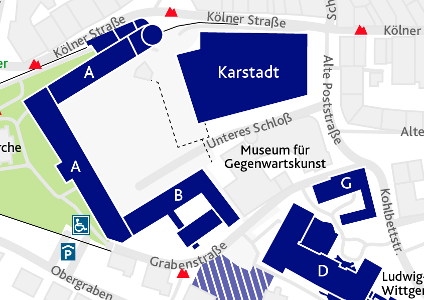 At the main train station Siegen (HBF) you cross the forecourt and follow the pedestrian zone (Bahnhofstraße) across the square towards the Sieg river (slightly to your left). Then you cross the bridge across the Sieg towards the Kölner Tor. Cross at the traffic light and follow the pedestrian zone (Kölner Straße) uphill. This will lead you past the "Karstadt". Once past it, you veer right onto the "Alte Poststraße" to the campus. 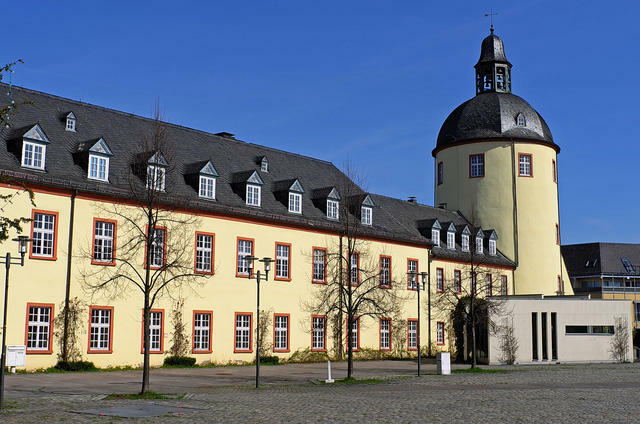 You reach the "Unteres Schloss" and the building block US-A if you turn right into the street "Unteres Schloß". From Autobahn 45 take the exit Siegen (Nr. 21) on the HTS, (B54 / B62), towards Siegen/Netphen to the exit Siegen-Eintracht. From there follow Koblenzer Straße towards Unteres Schloss. Follow the signs for parking. The following hotels are some options within walking distance (ca. 1.3km) to the workshop.